What are the fundamental principles of wealth creation and how do we create (and lose) money? In this second PowerPack we move on from where the last left off ... from where 'flow' flows to how 'flow' flows! By the end of this Pack, you will have experienced a deeper understanding of what value looks and feels like, what leverage looks and feels like, and how each of the eight profiles differ in the way they create value and leverage. You'll also gain insight into why you have been having the blocks you have had, as well as seeing more clearly why those around you are either blocked or in flow. 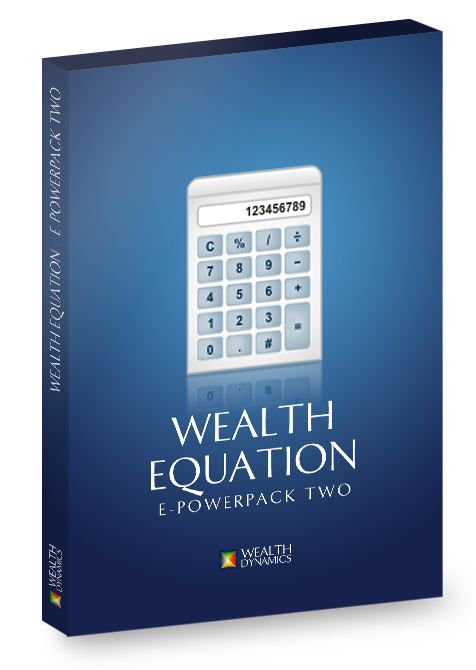 Click the button below to add the ePowerPack #2 - Wealth Equation to your wish list.